A new video attacking solar in Arizona links SolarCity (SCTY) and Sunrun, two of the most successful businesses in the solar sector, with Solyndra, a less-than-successful business in the solar sector. "California billionaires are getting rich off of your tax dollars," the video claims to Arizonans. The 60-Plus Association of Alexandria, Virginia, paid for the video, which is posted at Arizona Solar Facts and on the group's YouTube channel. Calling this a "disgusting attack against their own Arizona solar customers," Alliance for Solar Choice President/Sunrun VP Bryan Miller contended to GTM that Arizona Public Service (APS), Arizona's most powerful electricity provider, is actually behind the video. "There is no pretending they love solar anymore," Miller said. "APS had nothing to do with the making of or the content of the video," said APS spokesperson Jenna Shaver, "but we were aware 60-Plus was going to engage in the discussion and we welcome their support." The motivation for the video, according to Miller, is a backlash coming from Arizona's senior-citizen community in response to APS anti-solar policies. "There is nothing false in the video," Shaver said. "But APS has tried to stay positive and look for solutions and customer fairness," she added, "while this seems to be an answer to the attack ads and messaging from TUSK and the California solar companies." 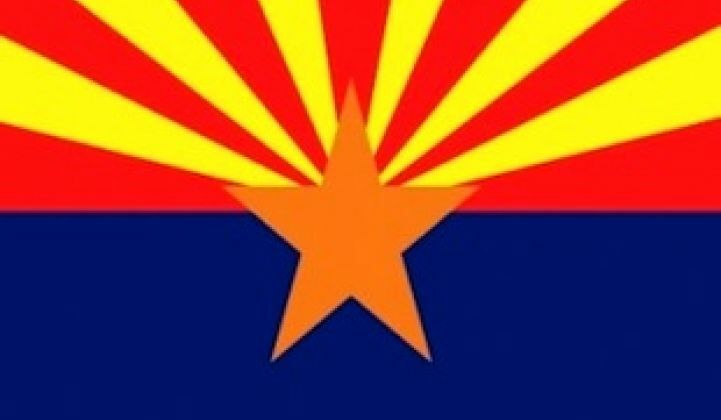 "The fight for net metering in Arizona," Miller said, "is the most significant fight for solar in the country."